SUPERSOFT MAGNA GOLF BALLS - IN WHITE. 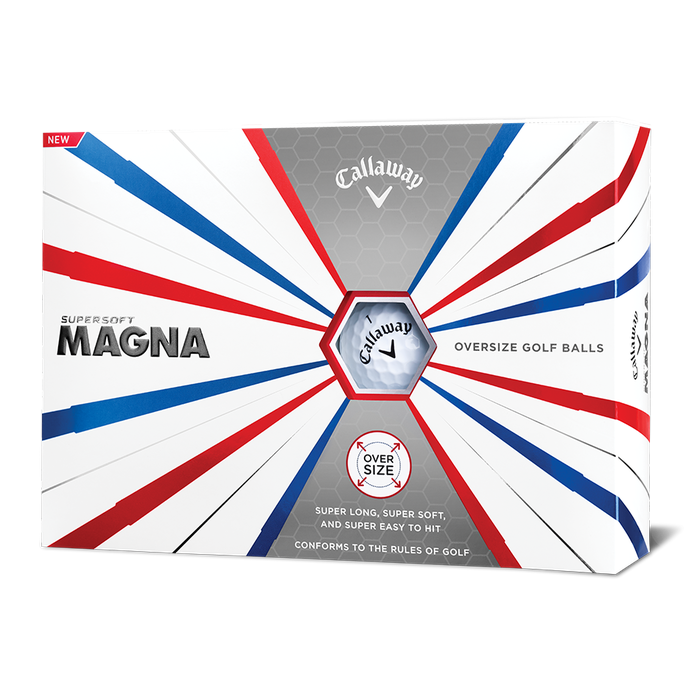 Supersoft Magna is an oversized golf ball with a super easy-to-hit construction for increased distance and high, consistent launch. 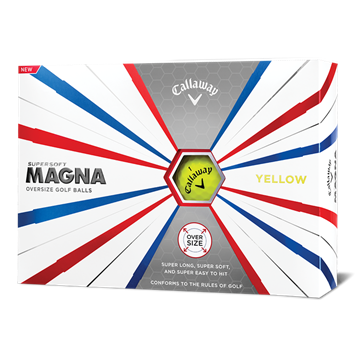 SUPERSOFT MAGNA GOLF BALLS - IN YELLOW. Supersoft Magna is an oversized golf ball with a super easy-to-hit construction for increased distance and high, consistent launch. 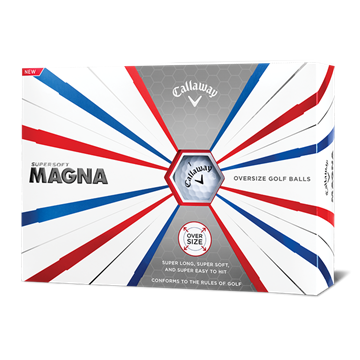 Magna is larger than a standard golf ball while still conforming to the rules of golf. It's higher center of gravity and high MOI allow golfers, especially developing golfers and slow swing players, to make better contact on the club face to promote more consistent shots with high launch. The proven Supersoft low compression core promotes faster ball speed and low spin for longer, straighter flight on full shots. Newly designed HEX Aerodynamics for this oversized ball are optimized to promote a lower spin rate, to reduce drag and enhance lift for increased carrry, higher flight and longer distance. A soft trionomor cover formulation for shot stopping wedge spin and great feel.